Mike Devereux joined Mueller Prost in 2000 in the firm's tax department and became a partner of the firm in 2014. As an energetic and ambitious CPA with an outstanding passion for tax, Mike has identified millions of dollars in tax incentives for the firm’s manufacturing clients, has led hundreds of R&D Tax Credit study engagements and has demonstrated leadership and exceptional judgment in the tax structuring of various acquisitions. He speaks nationally to various professional and industry trade organizations and associations about opportunities to reduce federal and state tax liabilities and has written dozens of articles for trade publications. 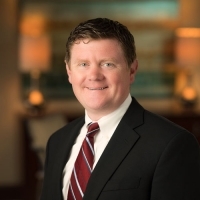 Prior to joining Mueller Prost, Mike worked for his father's CPA firm beginning at the age of 13, thus setting the stage for a career in public accounting. His fervor for tax legislation that impacts his clients is unmatched and drives his pro-active approach to serving clients. Panel: What's In Store for Medtech in 2019?